Has our current border patrol policy failed? Douglas Massey, Professor of Sociology and Public Affairs at Princeton University, examines whether policies made to keep people out are actually keeping them in. 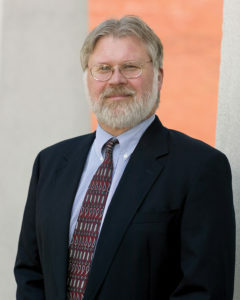 Douglas S. Massey has served on the faculties of the University of Chicago and the University of Pennsylvania. His research focuses on international migration, race and housing, discrimination, education, urban poverty, and Latin America, especially Mexico. He is the author, most recently, of Climbing Mount Laurel: The Struggle for Affordable Housing and Social Mobility in an American Suburb (Princeton University Press 2013) and Brokered Boundaries: Creating Immigrant Identity in Anti-Immigrant Times (Russell Sage 2010). He is a member of the National Academy of Sciences, the American Academy of Arts and Sciences, and the American Philosophical Society. He is currently president of the American Academy of Political and Social Sciences and past-president of the American Sociological Association and the Population Association of America. Ph.D. Princeton University. From 1986 to 2010 the U.S. Border Patrol increased in size from 3,700 to 21,000 officers and its annual budget rose from $151 million to $3.7 billion. The goal of course, was to prevent undocumented migrants from entering the United States, but it didn’t succeed. In fact, it backfired. Using data gathered from thousands of Mexican migrants surveyed annually since 1987 to conduct rigorous statistical analyses, I demonstrated that the massive increase in border enforcement had no effect on the likelihood that Mexicans would leave for the border without documents, or the probability that they would ultimately achieve a successful entry. However, it did increase the costs and risks of unauthorized border crossing quite dramatically and diverted migrants away from relatively safe crossing points in San Diego and El Paso into dangerous new routes through the Arizona desert. In response, migrants quite rationally began to avoid border crossing, not by staying in Mexico but by remaining in the United States. Although Mexican migration historically had been a circular affair, after 1986 the likelihood of return migration fell sharply as the intensity of border enforcement rose. With no effect on undocumented entries but a pronounced negative effect on return moves, the massive increase in border enforcement actually increased the net inflow of undocumented migrants. As migrants stayed longer and longer north of the border, they increasingly sent for their spouses and children. In effect, U.S. taxpayers spent $35 billion between 1986 and 2010 to transform what had been a circular flow of male workers going to three states into a settled population of families living in 50 states while doubling the rate of undocumented population growth. This fact explains why 11 million undocumented migrants live in the U.S. today.